Fun With Puzzles Brain Teasers Kids Puzzles Odd One Out Picture Puzzles Puzzles Puzzles for Teens Can you Find which Donut is Different? 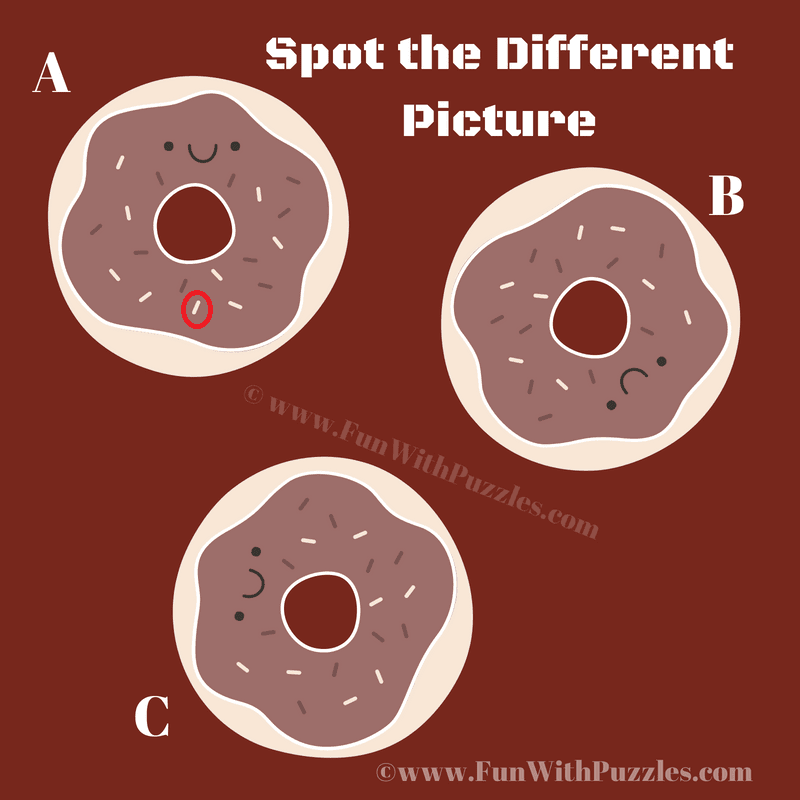 Can you Find which Donut is Different? This Picture Puzzle is dedicated to Donut lovers. 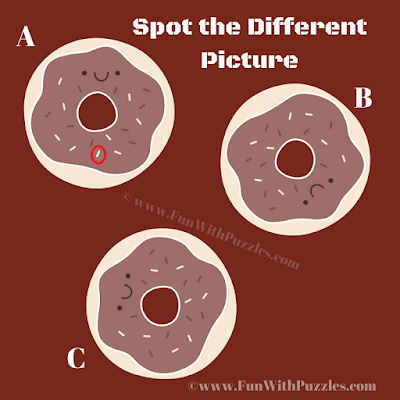 In this Odd One Out Picture Puzzle, there are 3 similar looking Donut. All but one are exact same Donuts. Can you find which Donut is different from other two Donuts? Answer of this "Odd One Out Donut Picture Puzzle", can be viewed by clicking on button. Please do give your best try before looking at the answer.